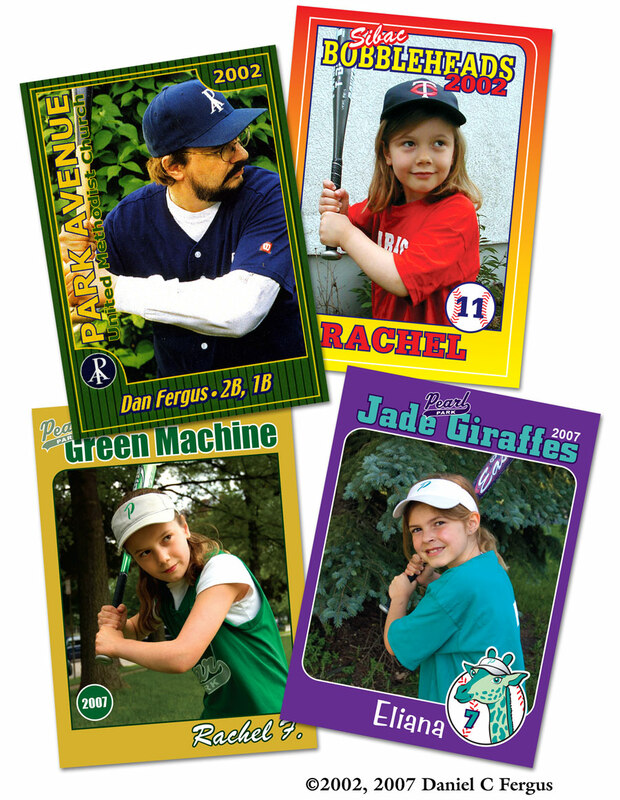 In 2002 I had an idea, why not make baseball cards for everyone on my men’s league softball team? It turned out to be a big hit—so much so that I did it again the following year as well. I intended to make it an annual tradition, but it proved to be too much work. However, I have created other sets of baseball cards for other occasions. I also made a set for my daughter's t-ball team that same year (2002). Several years later, when both daughters were playing softball, I made two more sets—one for each of the girl’s teams. As you might imagine, these proved to be very popular with the kids (“Wow! 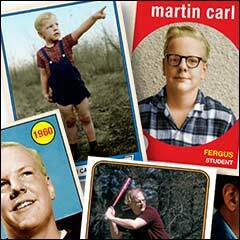 I’m on a baseball card!”). 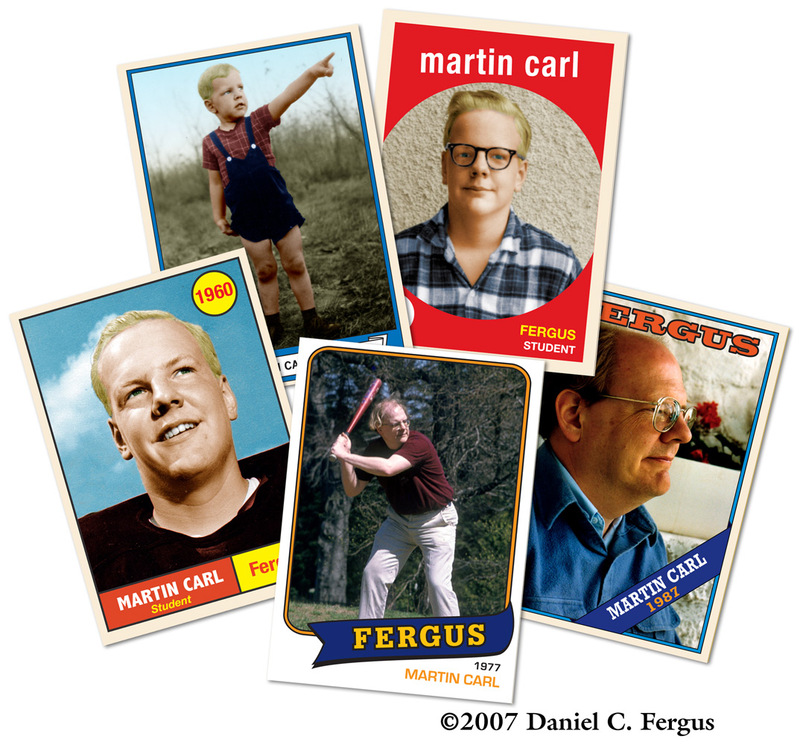 I also made a set of cards on the occasion of my father’s retirement—cards featuring my father over the years (see below) . With these I tried to match the style of the baseball cards of the era as closely as possible.